Lucknow: 4-Year-Old Girl Ananya Prodigy Studying In Class IX :- Ananya, just 4 years old, has been admitted straightway into class IX. 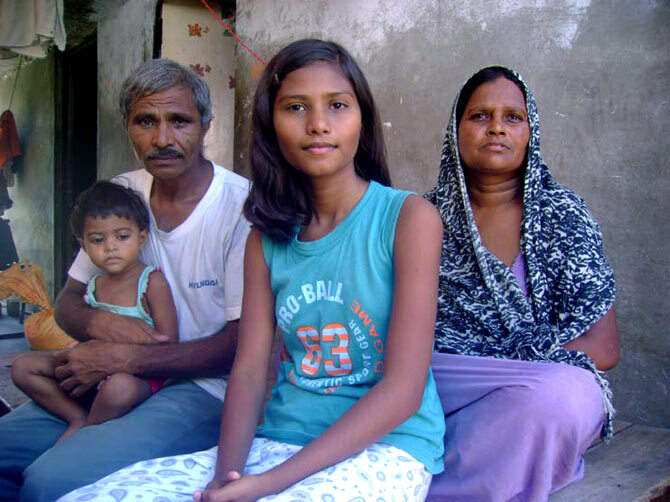 Her sister, Sushma, 15 years old, is doing her doctorate in microbiology. The brother of Ananya, Shailendra at the age of 9, had passed high school examination. Ananya is the youngest starter in his family of child prodigies. She completes the family trinity. Ananya’s father, Tej Bahadur Varma, is a supervisor in the Babasaheb Bhimrao Ambedkar University. Varma had taken her daughter Ananya to the market where he met a teacher from the St Mira’s College. In St Mira College, his two other children of Tej Bahadur Varma had studied. Ananya picked up one of her books and started reading it while her father were talking to teacher. The teacher was astonihsed and called Tej Bahadur and Ananya to the school. The school management took the test of Ananya and she was found fit for admission to class IX in the school. Vinod Ratra who is the school manager said that Ananya is even more talented than her brother and sister. Incidentally, the sister of Ananya, Sushma was got admission in the class IX in the same school when she was just five years old. Tej Bahadur says that his children have never taken any special facilities and tuition because he could never afford them. Ananya’s mother, Chhaya said that Ananya has been a quick learner. She would just pick up any book and start reading even. She started reading the Ramayana and now remembers most of it by heart. She is a quiet child and never makes demands. The father of three children being prodigies, Tej Bahadur says that It is all the gift of God. He said that my children wants to study and I could not afford them good education so probably god gives them exceptional talent. However, Ananya is not decided about what she wants to become in future. The mother of Ananya, Chhaya says that We are not going to pressurize her at all. Ananya can choose what she wants to do. We will do our best for her in future.